Prince Edward Island in Canada has become one of the primary providers of fresh mussels to North America. Driven by a sustainable source in clean and monitored ocean waters, the mussels are rope grown from mussel seed collected in the wild and have an excellent reputation for being consistent, sweet and tender. Locally you can find them on many menus, some appear as the seasons change, whilst other restaurants prefer to change the methods of preparation and keep them as an all year round favorite. 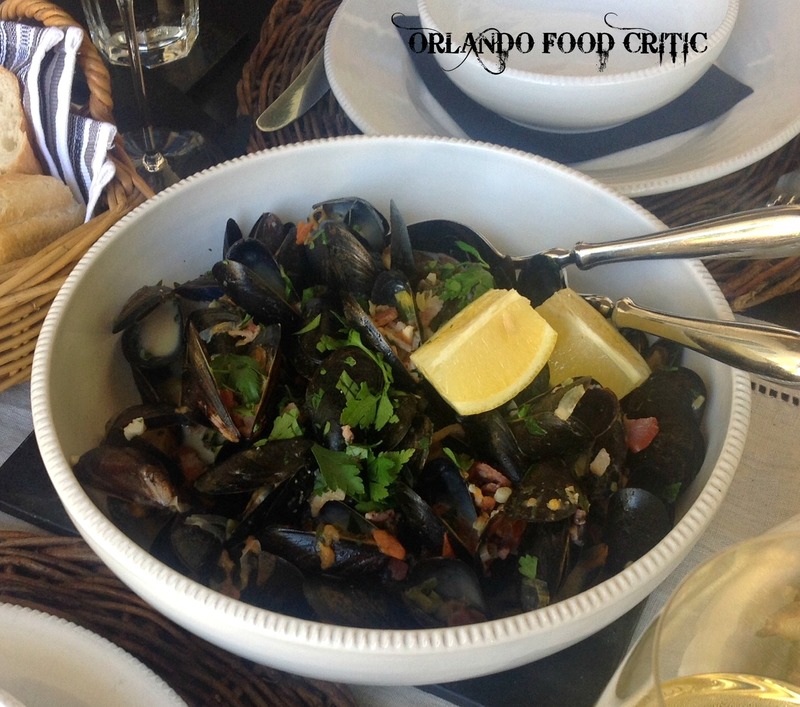 We have sampled and reviewed many examples, from the Sambuca infused mussels at Boca to the Andouille Sausage, Pilsner Beer option at Disney Springs Boathouse, additionally Pratos mussels brought in with the seasons sees them infused with Italian Ham and Basil. Difficult to choose a favorite as they’re all great dishes. But why not create your own PEI mussel dish at home by buying direct from Lombardi’s Seafood (see recipe at the bottom of the review). The staff at Lombardi’s are amazing and will help you with your fish or seafood selection, don’t be shy just ask. There are of course many different types of Mussels, at the time of our visit Lombardi’s had a selection of PEI and Maine varieties. We asked Mike Lombardi for his favorite, his reply was “It depends on the Month” and went on to explain the variation in size and quality of differing varieties throughout the year. The great thing about Mussels is that they are healthy, nutritious and rich in protein and minerals, low in fat, cholesterol and sodium, giving you more Iron and vitamin B12 than Beef! So, an easy and almost guilt free menu option. Rinse the fresh PEI Mussels under running water removing any beard and discarding broken shells. Make sure to tap any that are still open and most importantly discard any that do not close after being tapped and rinsed. Place to one side. Remove from heat and stir in the cream and lemon juice then season with salt and pepper. If the sauce seems too thin, using a slotted spoon, transfer the mussels to the serving bowl and simmer the remaining liquid uncovered for 3 minutes. Then pour the sauce over the mussels, sprinkle with some chopped parsley and enjoy with some crusty bread. We had an amazing fresh baked baguette from Croissant Gourmet, great for mopping up the broth.